ŌTARA FRUIT FLY RESTRICTIONS LIFTED - Controls on the movement of fruit and vegetables in the Auckland suburbs of Devonport and Ōtara have been lifted after no further fruit flies have been found there. 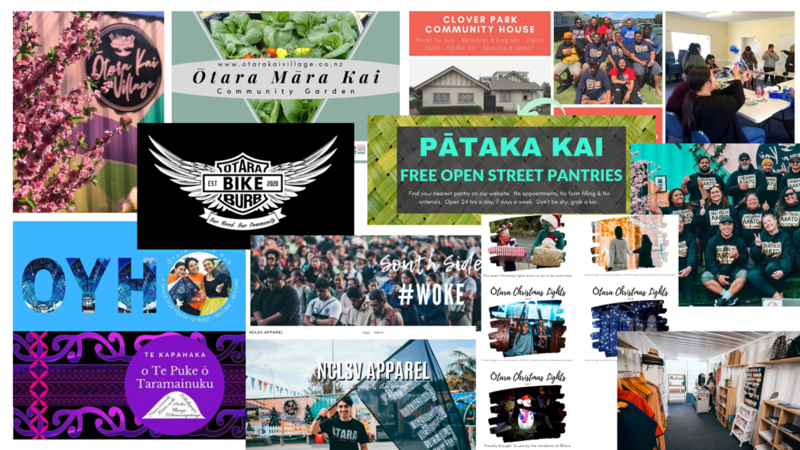 The (Pātaka Kai) Open Street Pantry Movement is a resident led, grassroots, crowd sourced solution to immediate and local need, rescuing food and encouraging the co-sharing between neighbours to strengthen communities. Whether a need for food or a need to give, the Open Street Pantry Movement facilitates neighbours helping neighbours, building community. All street pātaka (pantries) are stocked organically. Those who wish to contribute may do so at their own discretion when convenient. Kai has a role of nourishing whanau tinana and wairua, while reducing stress and promoting the values of koha and manaaki. This is a way of celebrating as a culture, as an iwi, as a people. It's about that whole sense of manaakitanga. This is a judgement free movement. This is not a new idea. Our ancestors have done this in many shapes & forms in the past and our neighbours over in the U.S.A have done an amazing job doing this with their own version of Little Free pantries all over the united states. We are committed to promoting Community Empowerment, Supporting the growth of the many assets that already exist in our communities within residents, enabling Inter-generational connectedness and turning strangers into neighbours. Pātaka Kai - for those who don’t know - is the Māori term for a food storehouse or basically a pantry. So the idea is - you TAKE what you NEED and LEAVE what you CAN. It’s open 24/7, no appointments required, no form filling, no criteria, there is no koha (donation) tin or money exchanged for anything. It is literally go have a look, if you need something please help yourself. If you can leave something, know that your community THANKS you Also NO ONE mans or watches the pātaka every minute of every day, this really is an open pantry to our community. ➡️ The proverbial cup of sugar that you borrow from your neigbhour becomes this place. ➡️ It's free 24 hours a day 7 days a week. No form filling, easy to access & no judgments passed. We ALL need a hand every now and then. WHO OWNS THIS PĀTAKA KAI (KAI PANTRY)? We ALL do. This is a community effort and we're just providing the vehicle for it to happen. It belongs to all of us so we all should look after it. Just keep an eye on it, keep it tidy, please don’t leave any big boxes or big rubbish bags behind, and definitely please DO NOT leave behind ANY clothing. The pātaka is only for FOOD - non perishables, fruit & veges from your gardens. NO HOT FOOD PLEASE! Just think about the health & safety of others.